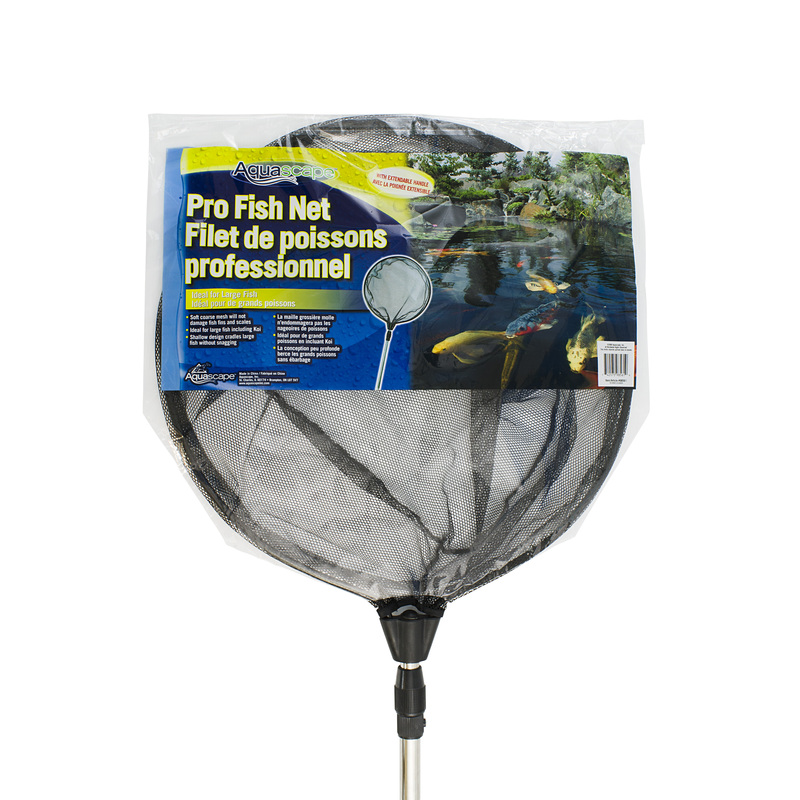 Our Best Value Pond Net! 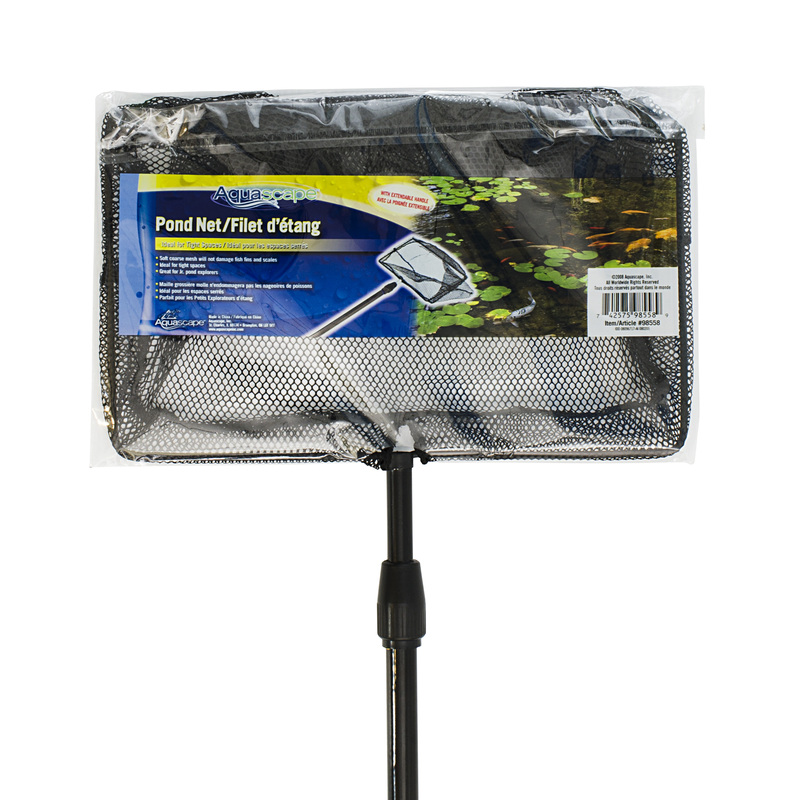 The Aquascape Pond Skimmer Net with Extendable Handle is a heavy-duty pond net used for handling large pond fish, removal of debris, and general pond maintenance. 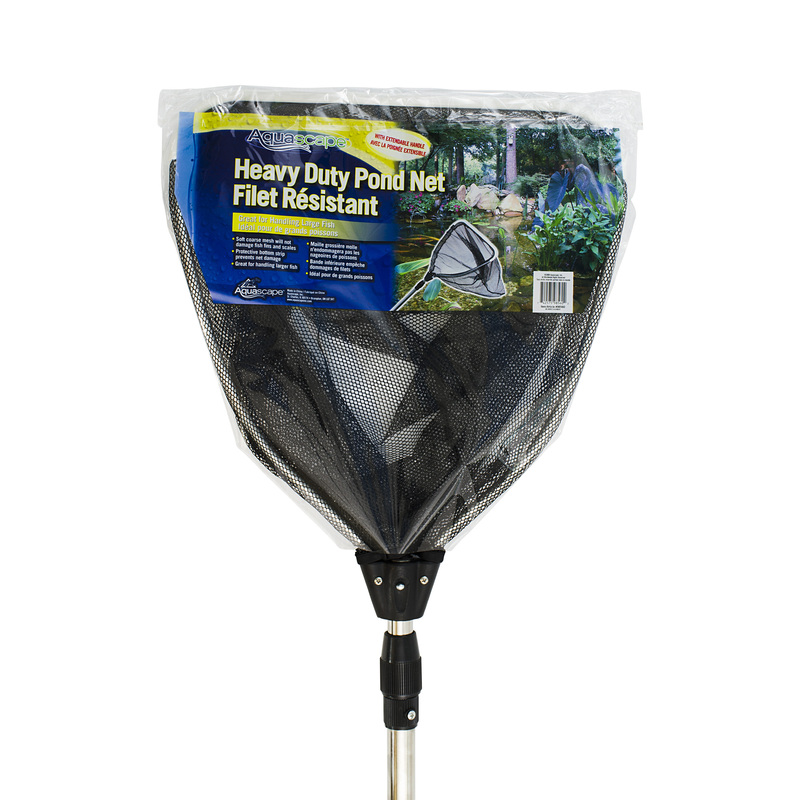 The incredible strength of this net allows for removal of large amounts of debris, significantly cutting down on maintenance. 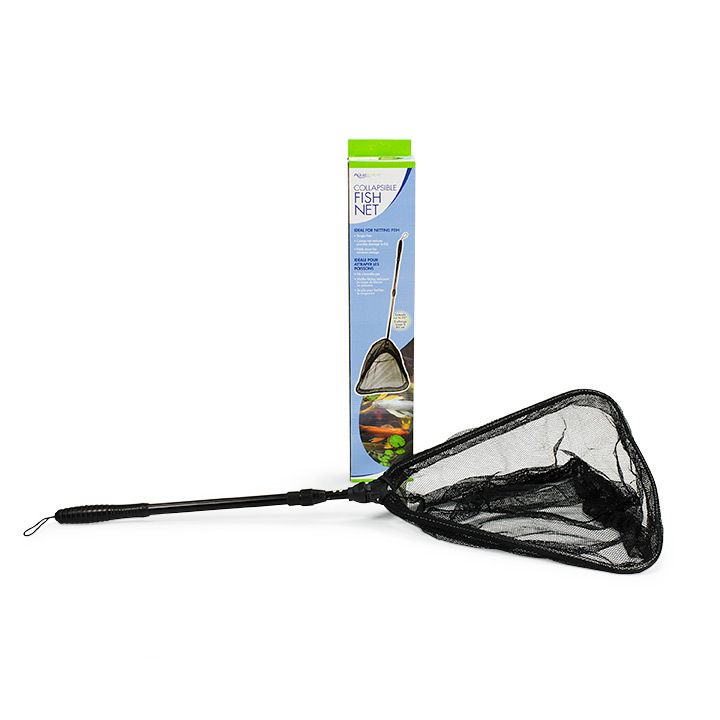 Its soft course mesh will not damage fish fins and scales while a protective strip protects the end of the net from damage during use. 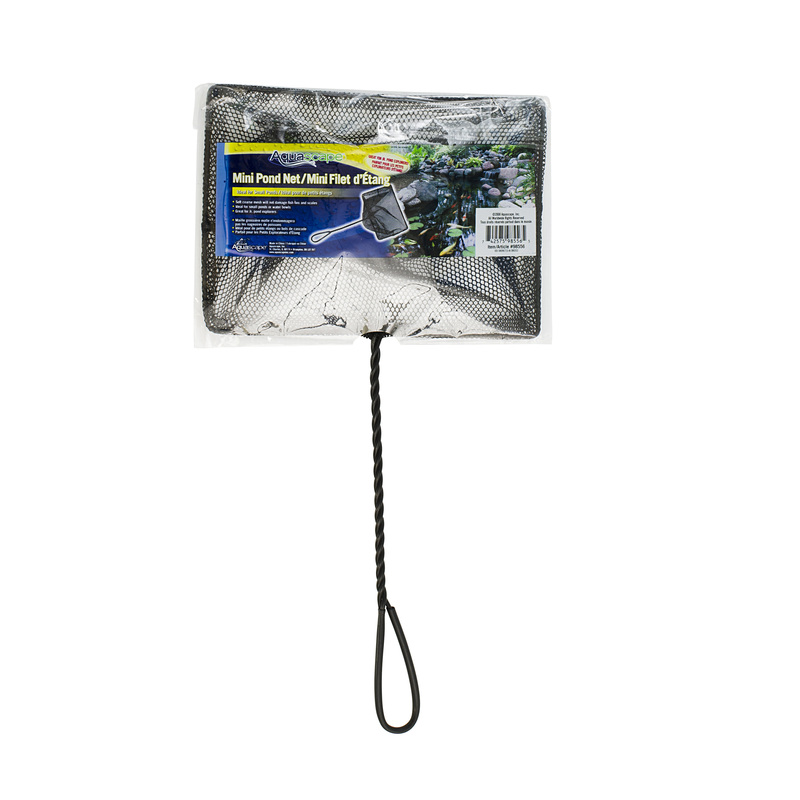 In areas where many skimmer nets may not be able to reach, the extendable handle will make it easy to skim those hard-to-reach areas in your pond by extending from 36” to 69”.